“The death of any young person, much less four, is a loss that, in one or another, affects us all,” a local school district said. Three siblings and a family friend on their way to a dance competition were killed in a car crash Friday in Central Texas, officials said. The Texas Department of Public Safety said Sunday that Michael Williams and his sisters, Tiffany Williams, 17, and a 12-year-old who wasn't named, and friend Peyton Mackenzie Irwin, 19, died in the crash, according to NBC affiliate KXAN. The siblings' mother, who was driving, was in a coma at a hospital in Austin, KXAN reported. They were traveling to San Antonio to watch a sibling compete in a national dance contest when the crash occurred. The siblings were in 11th, eighth and sixth grades, the Huntsville Independent School District said in a statement. Irwin graduated from a Huntsville high school last year. “The death of any young person, much less four, is a loss that, in one or another, affects us all,” the district said. 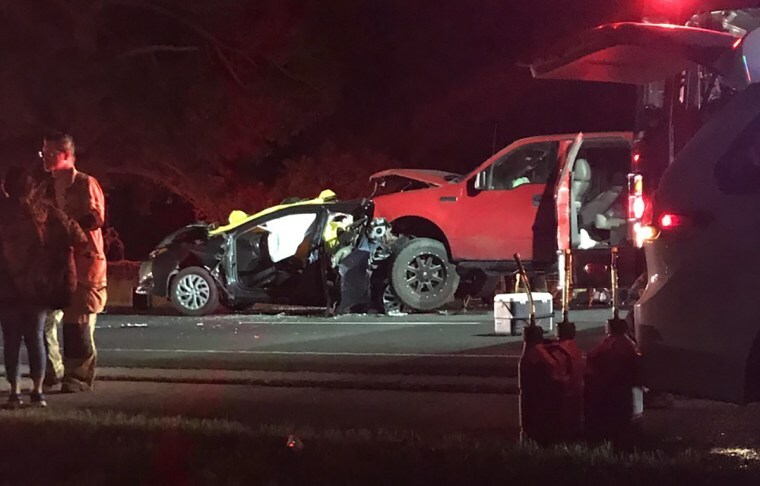 The Texas Department of Transportation said the crash occurred when a Ford pickup “failed to control its speed” and barreled into the family’s Toyota Corolla, according to KXAN. It wasn’t clear if the truck driver had been arrested.